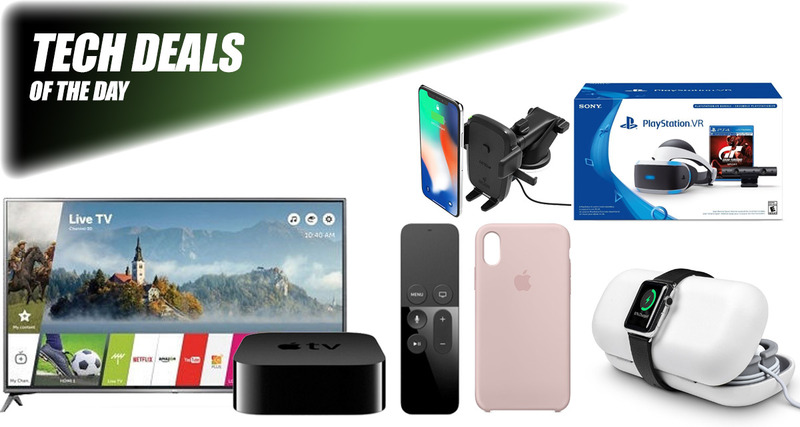 The weekend is here, which means that we have yet another installment of our daily technology deals for you to peruse and take advantage of. Browse through the deals, find something that you like, and make sure that you get it into your basket quickly before it’s all sold out or the price rises. 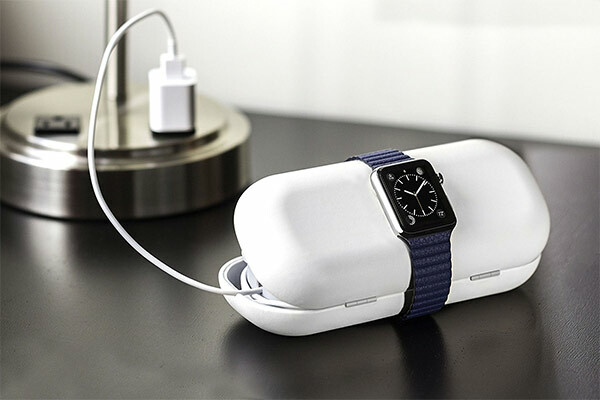 Starting off, we are looking at a charging case for the Apple Watch from Twelve South, coming in for only $33. 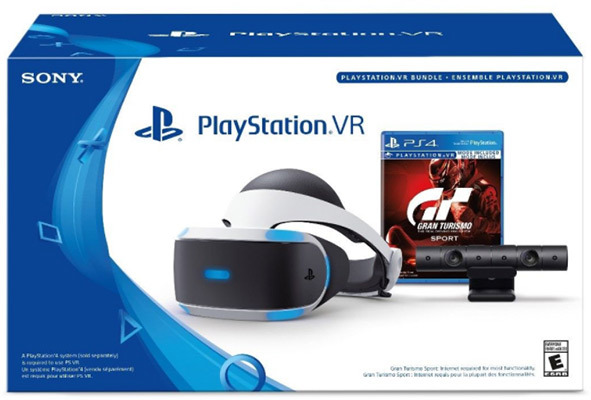 How about the Sony PlayStation VR Gran Turismo Bundle for as little as $220 down from $450? We have got you covered there as well! There’s also the Apple TV 4 thrown into the mix, as well as an iPhone X Silicone Case from Apple for discounted price. 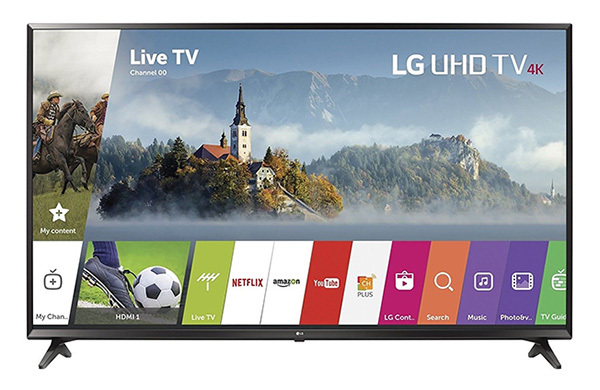 How about a 65-inch 4K TV? We have got one for almost 50% off the original price. There’s more where that came from, just make sure to act quickly before the deal expires, or stock runs out. Enjoy the savings! Twelve South is known around the world for producing quality hardware for Apple devices. And this TimePorter offering for Apple Watch is definitely not different. It functions as a compact travel case for Apple Watch as well as holding a magnetic charging disk and offering full compatibility with all Watch models. To get it for discounted price of $32.50, make sure you select the on-page “Coupon” on the product listing page to get the discount applied at checkout. There is gaming, and then there is virtual reality-based gaming brought to you by Sony and its PS VR system. This deal will get you the wired virtual reality headset, the necessary camera system, and the excellent adrenaline-fueled Gran Turismo game for the platform, all for the discounted price. 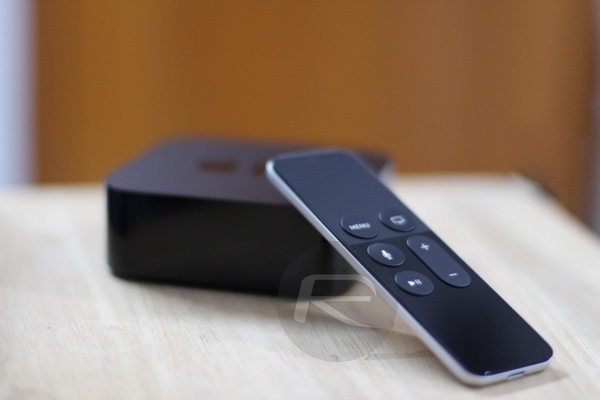 We may now have Apple TV 4K – or Apple TV fifth-generation if you prefer to talk in terms of generational releases – but this is an opportunity to get the wonderful Apple TV 4 (fourth-generation) for a reduced price. It offers access to the tvOS App Store as well as the wonderful and easy-to-use Siri-powered remote, along with onboard 64GB of storage. iPhone X is a stunning device. In fact, some people actually feel that it should be a crime to cover the hardware with a case at all. However, if you are going to, it makes sense to purchase and use Apple’s official silicone case which has been designed to be a perfect fit for this hardware. There are TV sets, and then there are glorious 65-inch TV sets complete with 4K+HDR resolution and underlying smart functionality. And this one definitely falls into the latter of those categories. If you need a new entertainment device in your life then you should definitely be considering investing in this set, especially given its discounted price. We now live in that wireless world where literally everyone wants to get their device charged up without having to tether it to cables. 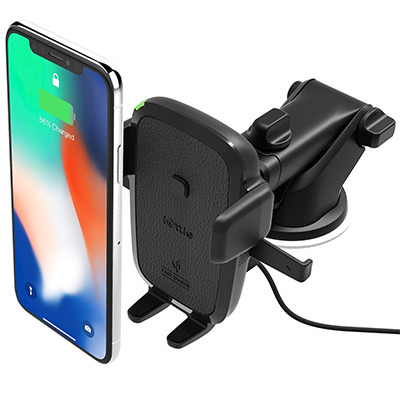 Well, that’s exactly what this in-car mount and charger does. Put it in place, mount your device, and get power without needing to connect the device with a cable. Simply use the following promo code at checkout to grab the charging car mount for only $42: S9SAVE15.